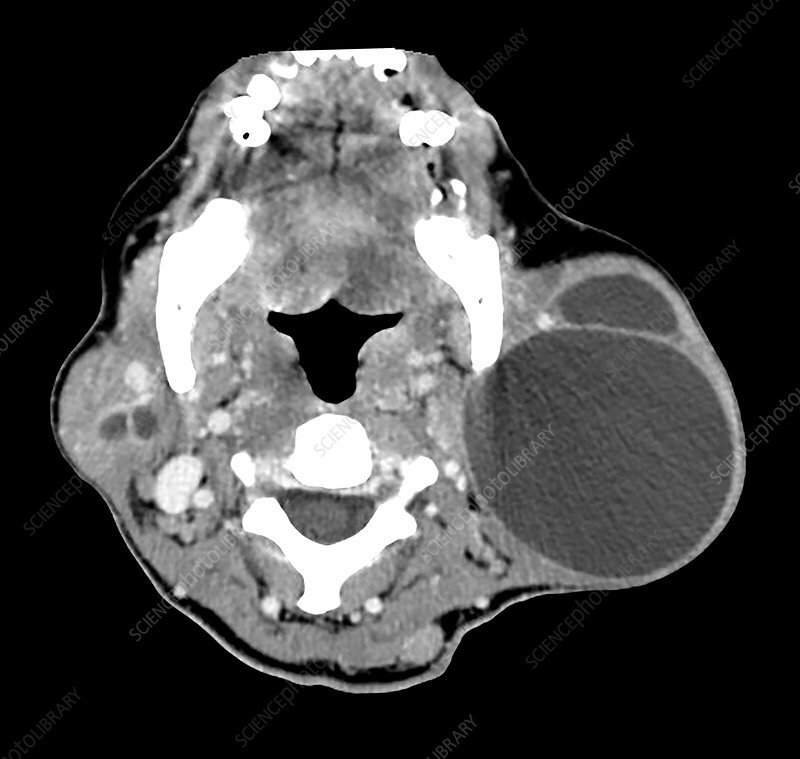 This axial (cross sectional) contrast enhanced CT of the upper neck shows benign lymphoepithelial cysts in the parotid glands. These are commonly seen in the setting of HIV/AIDS disease. They can be cystic or solid.